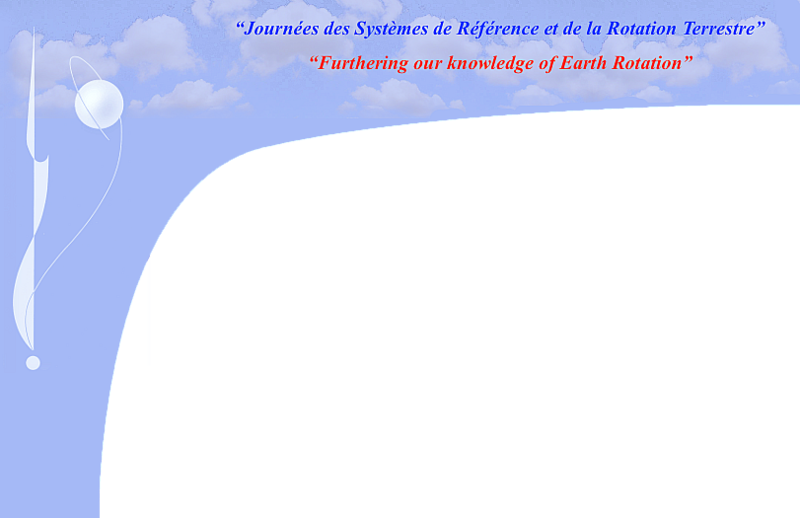 In the interest of enhancing the interactions between Astronomy and Geodesy these Journées are devoted to the study of the space-time celestial and terrestrial reference systems and their evolution with time, with the emphasis on the rotation of the Earth. In this forum of advanced discussions, we include the related fields of solar system ephemerides, astrometry and time, which follows the past series of Journées “Systèmes de Référence spatio-temporels”. The scope of this meeting will range from concepts and theoretical solutions to observational techniques and data analysis. Under the sub-title “Furthering our knowledge of Earth Rotation”, this meeting addresses the challenges brought by our demanding accuracy requirements of the modelling and prediction of the Earth’s rotation, and the realizations of the Reference Systems. Therefore, our discussions will help to develop, among other things, the tasks of the IAU/IAG Joint Working Group on “Theory of Earth rotation and validation”.